Whether you are coming in for your first visit or the 21st, expect a calm and serene experience. We offer sedation dentistry for people who may feel anxious, and virtual headsets so patients can watch videos during their procedure. Believe it or not, at the conclusion of their appointments, many of our patients are not in a hurry to jump out of the dental chair and leave. On the contrary, they ask to remain in the treatment room after the procedure so they can finish the video! Your first visit is all about you! During your first visit, one of our doctors will review your dental and medical history forms, and take X-rays and photos of your teeth and mouth. After your exam, the doctor will review your X-rays and help you create your own individual treatment plan, which will be reviewed at your consult. Any questions you might have about your treatment and insurance will be answered during your consult. 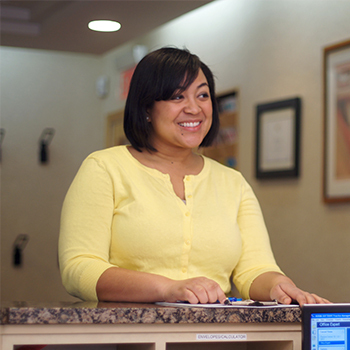 We will also go over your financials with you to help make your dental treatment affordable. Please arrive 15 minutes early if you have questions about your new patient forms or insurance.